The world of mobile learning is captivating right now with its rapid change and unlimited potential. At the same time, this brisk change can make business forecasting akin to wrestling a tornado to the ground if you try and predict the state of the industry for the next one to three years. Don’t even try extending beyond that. I wanted to bring some concepts to your attention that are in a book not about mobile learning, Dan Pink’s recent, To Sell is Human. I think it’s a must-read for anyone in business, big or small. Not just salespeople, mind you – everyone. If there is an overall theme to the book, it is this: We’re all salespeople. Not matter what role you might be in, you are constantly trying to change people’s minds or influence them. Like Pink says, “we spend our days trying to move others.” The meat of the book, then, looks at the most effective ways to change the minds of those around you no matter what your pitch might be. A good salesperson gets results, right? One section of the book really resonated with me because of its applicability to mobile learning. To use Pink’s terms for selling skills, it is equally true that an effective mobile learning application has attunement, buoyancy, and clarity. When you and your team develop a mobile application, you need to use a concerted and powerful sales effort to get your target audience to see it, understand it, try it, use it and incorporate it into their work life. That’s a tall order! If you don’t succeed at all of these levels, your mLearning deliverable may just lay fallow. Don’t build a great app and then forget to get the word out that it even exists. Conversely, don’t execute a huge marketing push for your app and then deliver a bad user experience. Taking a cue from a section in the book called, “How to Be,” there are some great tips that Dan Pink meant for sales efforts that are also on target for exemplary mobile app development. Let’s start with attunement. This is the skill of knowing and understanding your audience. I wrote about this two years ago, and it is still exceedingly true. You absolutely must know and understand your audience. What immediate or critical needs of theirs will your mobile app address? What problems will it solve? Do you have a proper perspective on the world in which they work day in and day out? Determine the answers to these types of questions in the very first phase of your development process. The answers will guide you throughout the work plan. You must exercise empathy for your audience to build an app that delivers effective results and has a strong perspective on all levels of the context in which they will use it. Put the wants and needs of your audience first, and watch how your app takes off. Next, your mobile app must have buoyancy. In Pink’s book, this means that as a salesperson you must not get too high or too low based on the response you get from your audience. This is the art of staying level and staying afloat. Think of this regarding the user experience (UX) of your application. Obviously, you want your mobile app to stay “afloat” for the desired time of usage, but you want it to be useful. Build an app that provides helpful information to the user at the time of need. Strive towards a UX that allows for the flow of information to integrate seamlessly into the user’s workflow – in other words, keep the experience steady. If the UX becomes obtrusive or distracting, your app will “take on water” and could even be regarded as a hindrance. Work with your team to build an app that’s sticky – one that users return to on a consistent basis to get better at their jobs. Finally, your mobile application must have clarity. Clarity is achieved on many levels in mobile application implementation. We just discussed the user experience and, of course, your messaging and content has to be clear. If you aren’t connecting with their inherent needs, your instructional design may be off the mark. Or perhaps your user interface design is too cluttered, or you aren’t following the UI guidelines of the platform you are using. Don’t make your user search for a Back button. There is nothing more powerful than a simple and intuitive user interface design. Clarity of a mobile application can even happen behind the screen with clean and logical code that makes the app run smoothly and quickly in a wide variety of situations. Don’t develop a bulky application that bonks for a certain segment of your users who may not have ideal connectivity. Make clarity a higher priority than flashy animations or the coolest new function or feature on the mobile device. A memorable user experience is usually the result of a mobile application that has clarity on all levels. Practice Your (Mobile Learning) ABCs! Assess the mobile applications you have delivered or have in development. Did you exercise attunement with your audience and understand their wants and needs and build an app that fits smartly into the context of their lives? Does the application have a sense of buoyancy as it delivers a strong UX that causes your audience to return to the app time and again for a consistent and remarkable experience? And, finally, does it have clarity on all levels – messaging, design, development – so that the audience encounters a clear and sound mobile application that delivers on its promises? If you can answer yes to these questions, you are using some best practices that are as fundamental as knowing your ABCs. Thanks for sharing these very succinct and as a consequence, powerful key points. 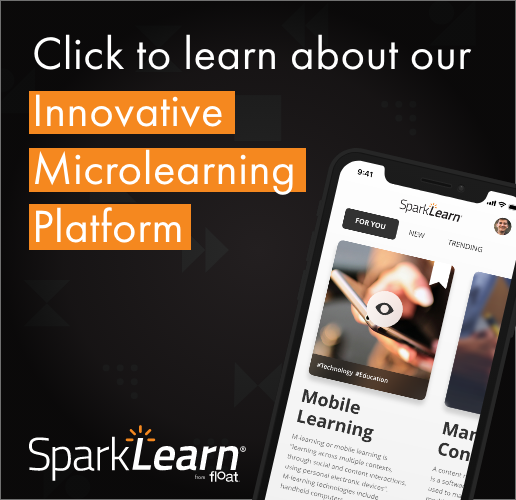 Of course they’re aimed at mLearning here, but they’re often the difference in any Learning Campaign’s tools for delivery and communication i.e. they in fact may be the difference between it being a true campaign or just another learning event (perhaps ‘non-event’ 😉 as most are without the campaign). Selling is such an emotive term – some people hate to think they’re associated with the selling of anything! Yet I would argue a good 95% of the world’s employed are either involved in sales or in the support of sales – directly or indirectly. In terms of learning, it’s critical our messages, our tools and insight is sold – or no change or buy-in occurs at all – and lots of money, time and emotional investment is wasted; learning needs marketing just like any real change we seek… Great to get thinking on this – need to blog it myself of course and not tie up too much space here! http://learninghook.blogspot.com.au/ – thanks again Scott – love this line of thinking.